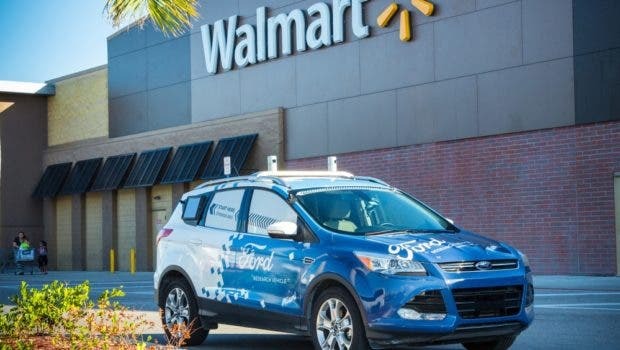 Walmart is looking to the future of retail and working to define a fully autonomous grocery delivery service in separate pilots with Ford and Waymo. The newly announced pilot with Ford seeks to build on an existing partnership with delivery service Postmates that will explore the ways the service would change if and when a fully autonomous vehicle were added to the service. 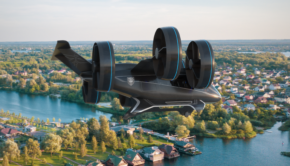 For now, the vehicles will simply be mocked up to look and feel like an autonomous vehicle, but the lessons learned are expected to translate to the near term future when fully autonomous vehicles are a reality. The retail giant believes that moving to fully autonomous grocery delivery would cut shipping costs in half, making its offerings more accessible and more affordable to more customers. The offering seeks to bridge the gap that separates its brick and mortar stores model and its online warehouse competition at Amazon with same day, low cost delivery windows that would undercut the competition. The partnership with Ford was a logical step for Walmart, as Ford is investing heavily into the development of fully autonomous vehicles and has been exploring the ramifications on delivery with partners like Domino’s Pizza and Postmates. Ford has consistently been conservative with regards to autonomous driving tech, with an estimate that it will delivery a fully autonomous vehicle by 2021. It is building the bridge to that future with the help of Argo AI, which it rolled a cool $1 billion into last year. Ford has distinguished itself from the competition by promising to map out end-to-end business models for those vehicles at launch, which it may end up actually developing in a strange partnership with VW. The future of how these solutions will play out is encouraging as we begin to climb the mountain of manufacturing and integration work that separates us from the vision of fully connected, autonomous, shared, and electric vehicles that we believe to be the future.